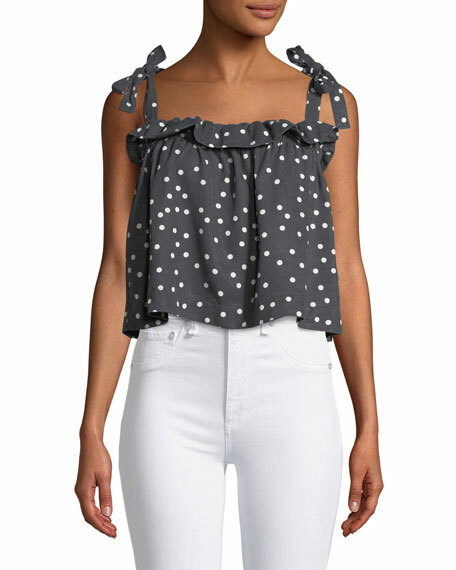 DL1 1961 "Dennet" polka-dot top. DL 1961 Premium Denim is known for jeans that retain their shape, even after repeated wearings, thanks to revolutionary four-way stretch denim. The patented XFit Lycra® fabric features cross-weave technology that offers movement, helping retain a perfect fit on even body-conscious styles. 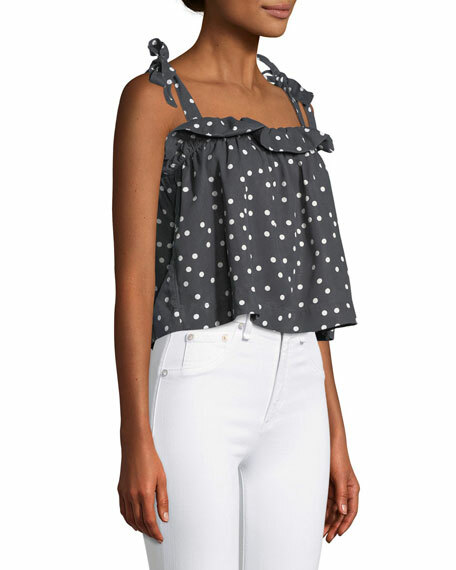 For in-store inquiries, use sku #2625560.